I’ve known Patrick now for about 8 years. When I first met him he came rolling up in a Integra with black painted spoon calipers, and black painted Teins. I was appalled that someone would disgrace a spoon caliper like that. He said the reason he was doing it was to be more low-key, which I half way agreed with. But still you don’t dishonor a spoon caliper by changing its appearance, it would be like painting over the Mona Lisa, Sistine Chapel, or Starry Night. I knew right then and there that he was 100% interested in the functionality of a car and that he was more interested in driving a car than the way it looked. From then on I attended many track days with him at our “local” track Spring Mountain Motorsports Ranch. He was always preaching ” driver mod” and “non aero” rambling on about how he wanted to be “fast” with no aero. He was challenging himself, he knew if he could be fast without aero then with aero he could be even faster. 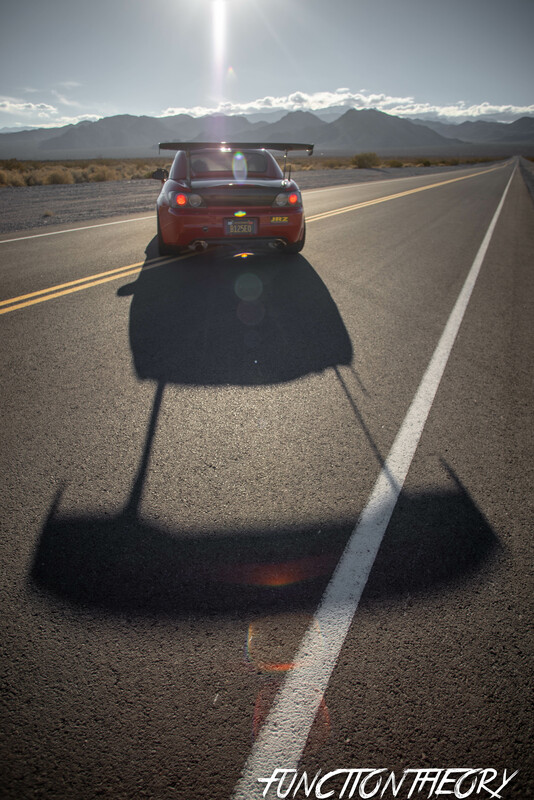 Patrick was very dedicated to tracking his car, he was always driving to California doing events down there at Chuckwalla, Buttonwillow, and Streets of Willow. We didn’t hang out too often but when we did it was always great to pick his brain about track racing. We would discuss theories about car set up, and what was actually necessary vs what was hype. Lets go circle back to the “no aero”. it’s not that he’s against aero, but rather just feels like the basic modifications that we do only offer minimal improvements. While adding aero or sticky tires will dramatically improve your times. 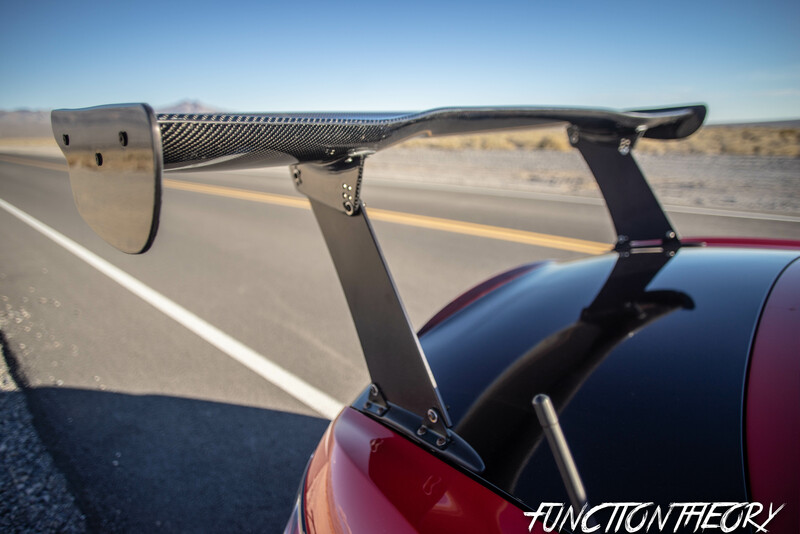 He prefers to keep the car non aero just so he can focus on driving improvements or “driver mod” as compared to just slapping sticky tires and more down force on your car. With all the available “race car ” parts nowadays it’s easy to get lost in buying spherical this, and down force that. This will only get you so far. yes technically it will make you faster, but on the other hand a person who is fast without all that is going to be really fast with it. 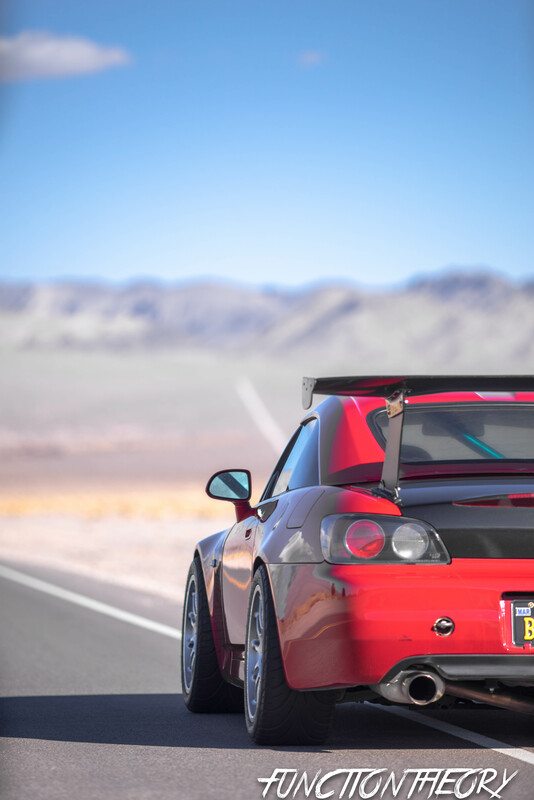 So why is someone as diehard about FF chassis as Patrick buying ans2000? He likes to think of it as progression, most of the time FR will be faster than FF of course there will be exceptions. However equally modified, a FR chassis with equal drivers will be faster. it’s no secret, and we are all aware of this. The reason we race FF though is because the 90’s econobox cars hold their own, and its nice to head out to the track and be faster than “sports cars“.With the Honda FF chassis being so good it was only natural for him to move to the best FR platform ( best for sub 15k ) but still the S2000 is receives high accolades amongst the track community. As someone who is focused on lap times and driving technique it’s only natural that he moves to this FR platform. 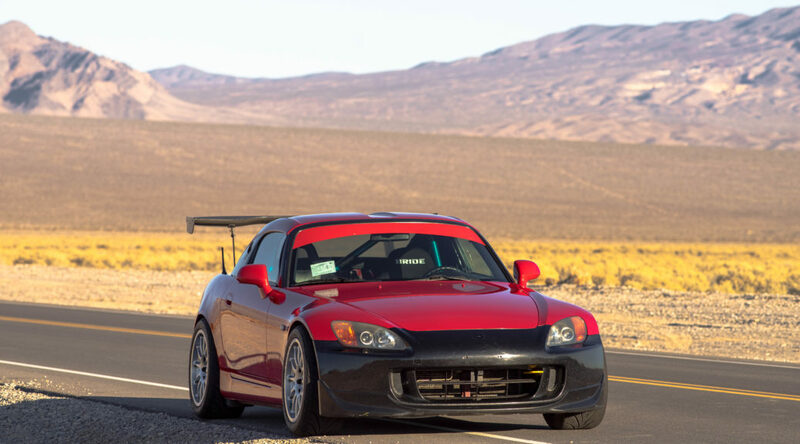 Take note that he didn’t start here, he worked on improving skill, and technique till he felt the Intera was at its limits ( for non aero, and non slick tires) after 6 or so years tracking his car, he was ready to make the jump to FR and purchased a s2000. ( note that he purchased one originally, then bought the red one since he prefers red, and it had a few other things done to it. now his other one just sits and waits to be bought by someone) He has done one track event with it ( technically two but the first one didn’t really count as it was just a shake down ) He feels with some more track time in the s2000 he should be able to match his Integras times while the s2000 still being on a true street tire, not a re71r, etc… The handling is of course going to be a lot different between the two platforms FF, FR. However he says that everything transfers over, and he didn’t have to relearn driving or anything. It’s just that the Integra is more forgiving and predictable. With the Integra the focus is all on entry: carry speed, trail brake correctly, rotate towards the apex. then manage understeer on exit. 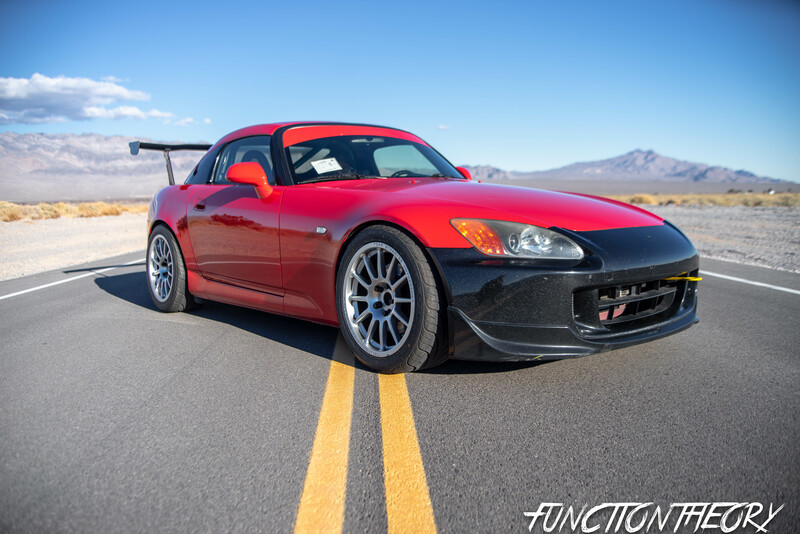 “i can be aggressive with the integra” he says, “I have to be smooth and commit to a turn in the s2000″ The s2000 is less forgiving,and the mechanical grip is amazing even against other FR cars not just an FF. The s2000 isn’t quite as dialed as the Integra is, obviously since he’s had the integra for years and the s2000 for a few months. 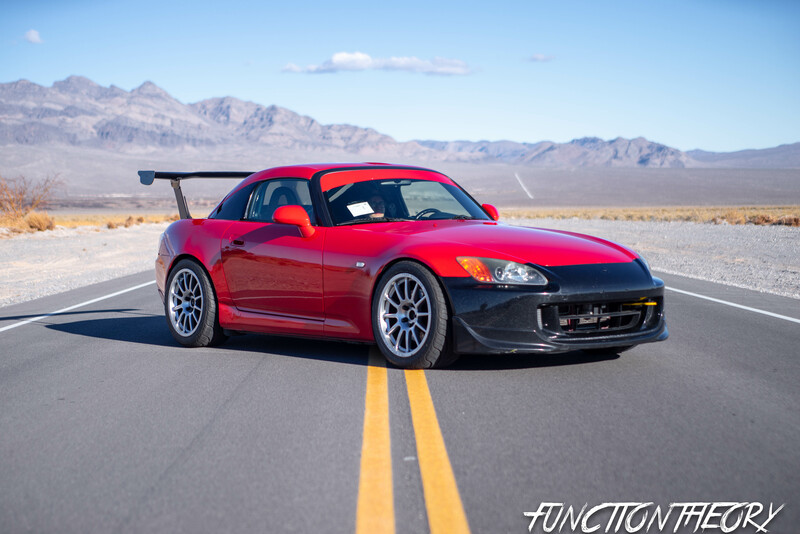 You may have noticed that the S2000 currently has a wing on it, and i’m sure you’re all calling him a hypocrite since he’s all about no aero. Fear not he will be removing the wing going forward since he wasn’t happy with how it made the car feel. He says ” the wing dulls the cars abilities because it makes the car unbalanced. Now obviously with a front splitter this would balance the wing out and greatly improve the cars handling. But keeping true to his ethos: track time>new parts, Less is more and keep it simple, there’s always time on the table, and take a track a turn at a time. He will not be adding a front splitter anytime soon ,and the wing will stay off. This will help him get the absolute most out of the amazing FR platform that Honda developed by improving his skill and not just using a crutch like a wing and splitter. To compare the two platforms FF, FR would be unfair. They are both good and fun in their own ways. 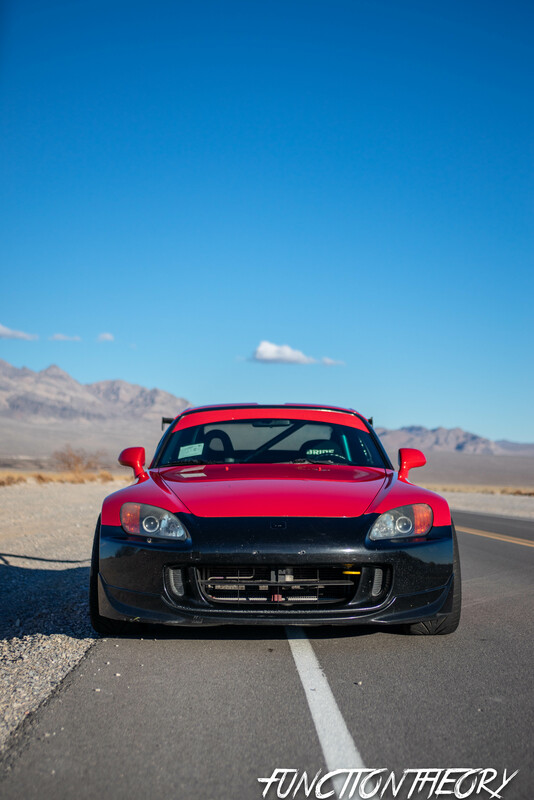 the S2000 is fun and he loves the feeling of rotating the car thru the apex, and to the edge of the track. Not to mention its mechanical grip is phenomenal. The Integra is nostalgic and raw, you can drive it to the very limit and it won’t kill you, and the Integra surprises people with its overachieving abilities for what is got done to it. Oh lets not forget that the reason his S2000 is “double duty” is because its his daily driver! 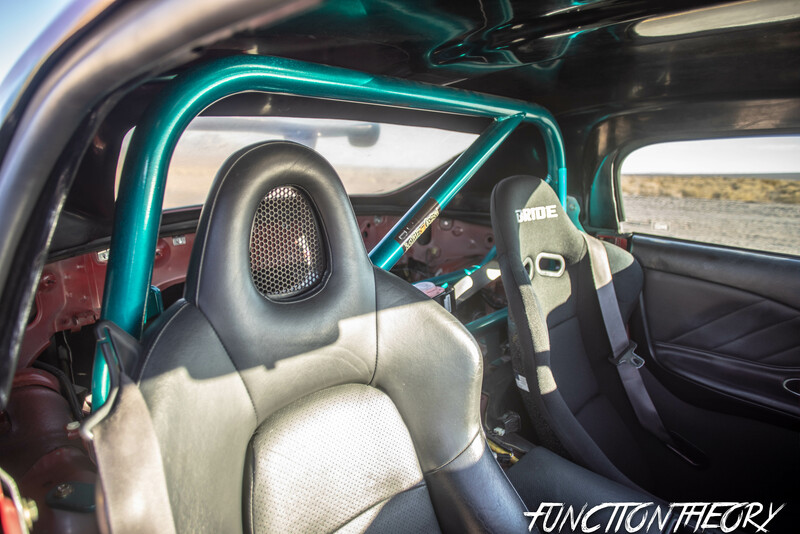 CIrcling back to the Integra V3 build we touched on a little earlier in the article, he is now going to go bananas with the build of that car and leave the s2000 somewhat modest. the integra is going 15×9 up front, some mods to the aero, lighter, and maybe a little more power, it’s going to become a true track car. Previously he was driving it back and forth to events in Southern California, yep that’s right! actually driving it. So when he was letting it all hang out and striving for faster times, in the back of his mind he knew he still had to drive it home 300 miles back to Las Vegas.